Sanjeev Bhaskar, Comedian and Performer of Goodness Gracious me and the Kumars at No. 42 Embarks on an epic and highly personal journey Through modern India. An economic powerhouse, India has fully embraced the technology and demands of the 21st century, yet has retained its traditions, glimpses of Empire and, of course, its breathtaking landscape. 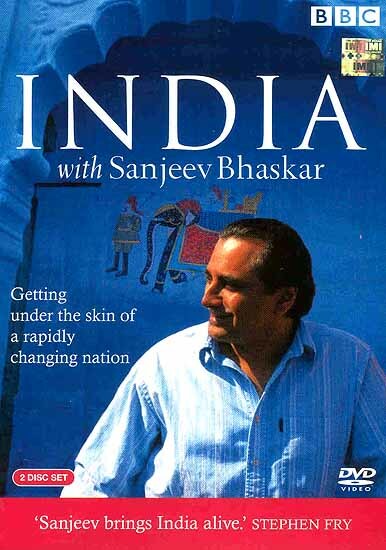 In Sanjeev Bhaskar’s journey to the land of his relatives, he attempts to discover just what makes this country such a compelling phenomenon. Sanjeev’s travels take him up and down this intriguing country: from the millionaires and street traders of Mumbai to the pilgrimage town of Rishikesh, once the mystical destination of the Beatles; from the 21st century city of Bangalore to the stunning fishing villages of Kerala and from the chaos of Diwali in Calcutta to the tea-growing hills of Darjeeling. In a journey fuelled by his own good humour and curiosity, Sanjeev engages with the amazing culture of the country: he makes a cameo appearance in a soap opera, witnesses an exquisite display of the ancient art of Kathakali and even has a camel named surreal road trip along India’s Grand Trunk Road into Pakistan - a reversal of the traumatic journey made by his family following the Partition of India in 1947.